AN ATTRACTIVE SHADE COVER THAT WILL HAVE THE NEIGHBORS JEALOUS. Our wide selection of architectural styles and features are designed to work together to obtain classic beauty and strength. 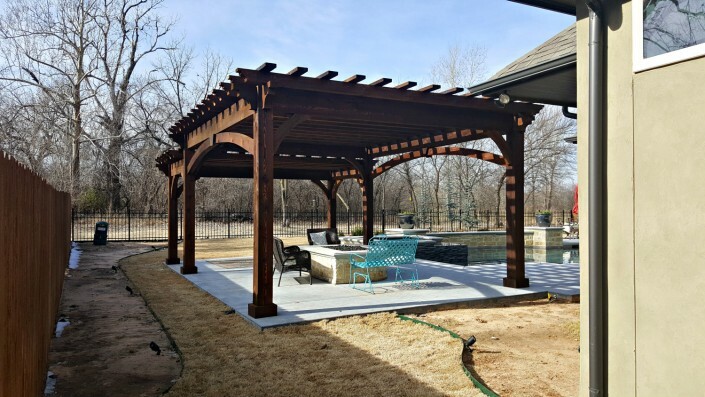 With multiple different models and options to choose from, you can create a shade structure that is just right for you. 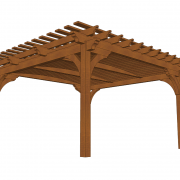 With our modular component design and build process, we can deliver a customized shade structure with a fast turnaround time. Here at Tulsa Woodscapes we believe that each and every person is unique and different. We all have different style and taste. Don’t settle on something everyone else has. 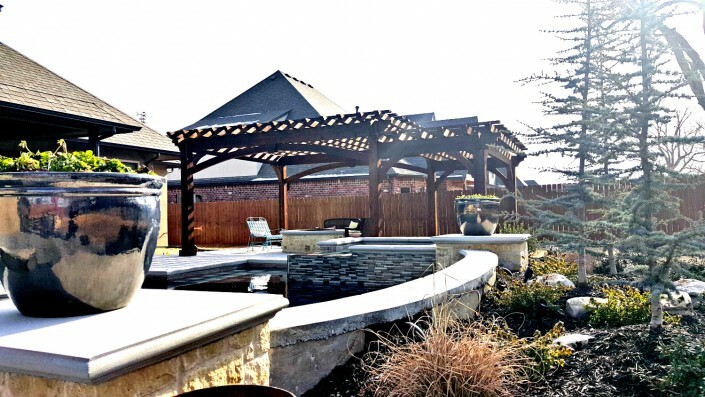 We offer multiple different pergola designs and pride ourselves on each different unique design. 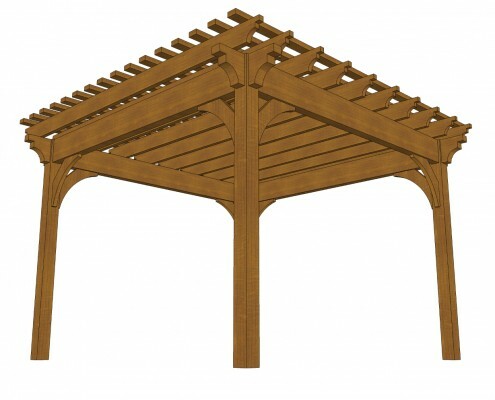 Browse our pergola models below. 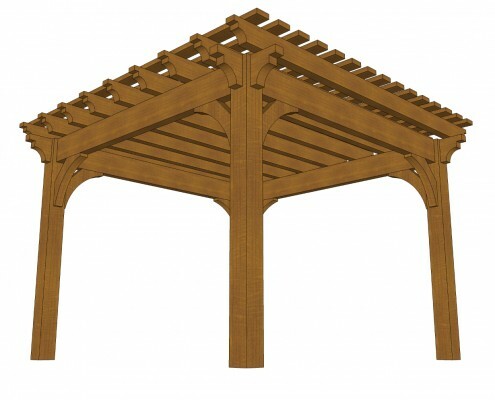 Selecting a pergola size. 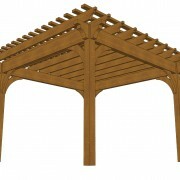 Our pergolas are sized by the roof area or canopy size. 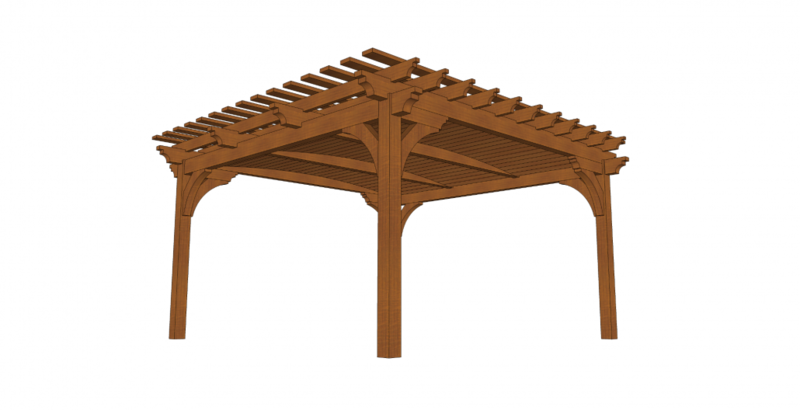 For example a 10′ x 10′ pergola has a square roof with 10 foot sides. Since the roof overhangs the posts, the posts are set in by 1 foot from each corner. The post layout from edge to edge would 8′ x 8′. No problem, we can accommodate custom sizes up to 40’x 40′. We consider each structure custom and can custom build to any specification. 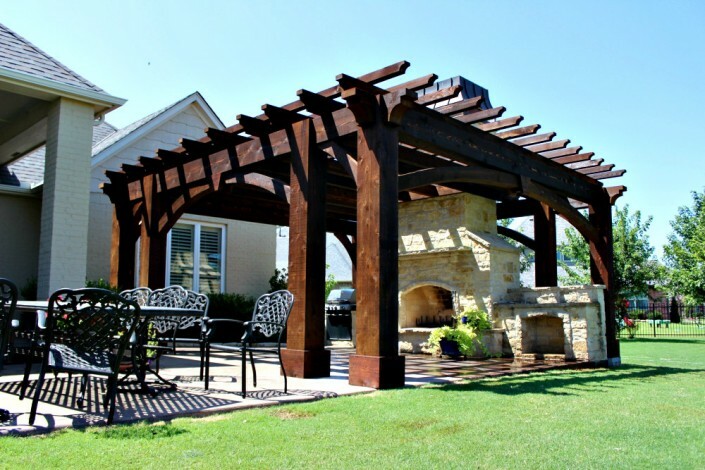 Want to customize your pergola? With our many options, you can truly make the pergola unique to your own personal style and taste. From different stain colors to overhead rain canopies, we have got you covered. 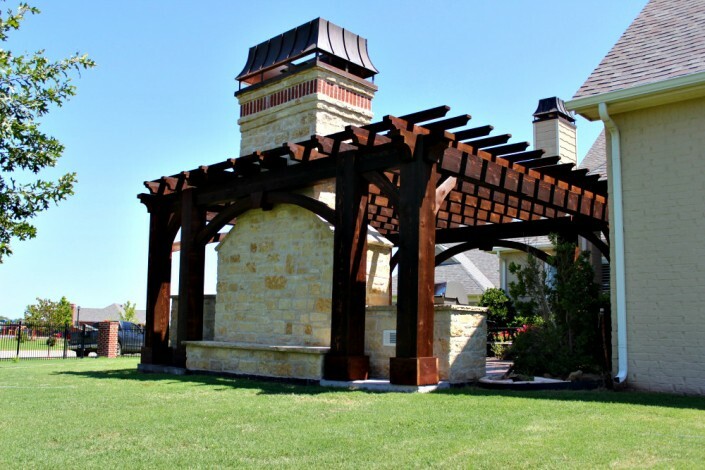 Looking for a custom pergola or option? No problem, our design experts are always looking for unique and challenging projects. While both of our pergolas look similar in style, it really comes down to the material sizes and specifications between the Standard and the Premium model. 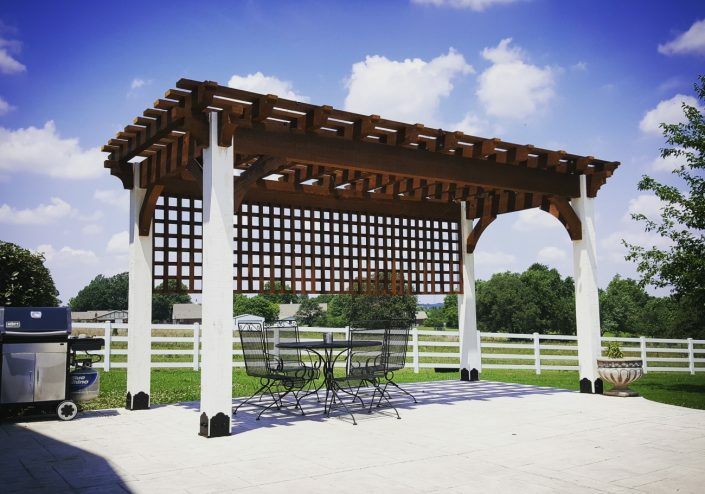 Our Standard pergola design is perfect for those looking for shade and space to entertain while on a budget or simply not like the look of the bigger beams/timbers. While both of our pergolas look similar in style, it really comes down to the material sizes and specifications between the Standard and the Premium model. 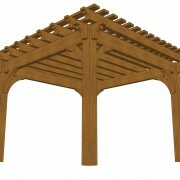 Our Premium pergola design is our #1 seller and the highest quality beam/timber built in the USA. If you like the look of big beam/timbers the Premium model is your only choice. Built to last and impress for years to come. Hybrid is all the rage today. 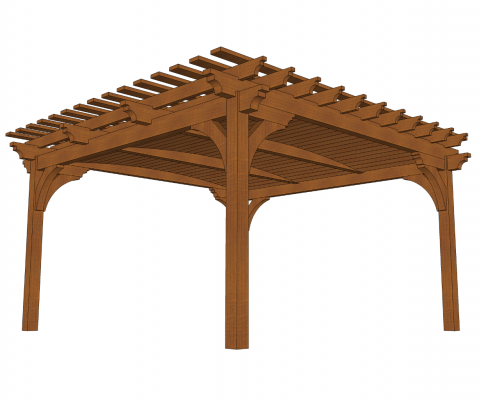 How about a hybrid pergola and pavilion? 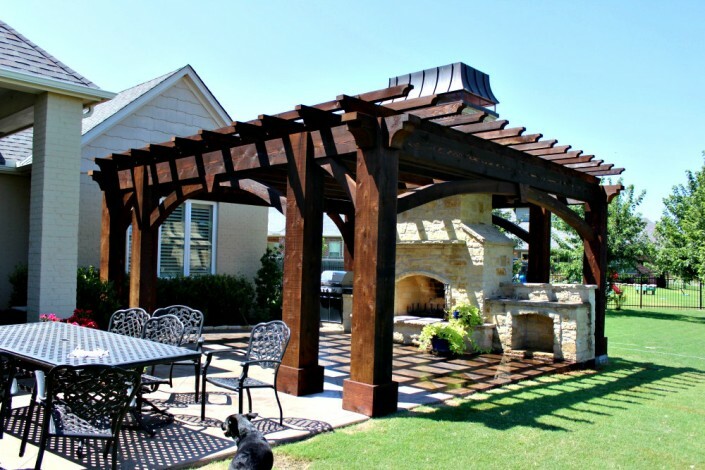 You get the look of a beautiful pergola without the height and big roof of a pavilion. 100% waterproof and custom built for each project. Want to learn more? Contact us now.